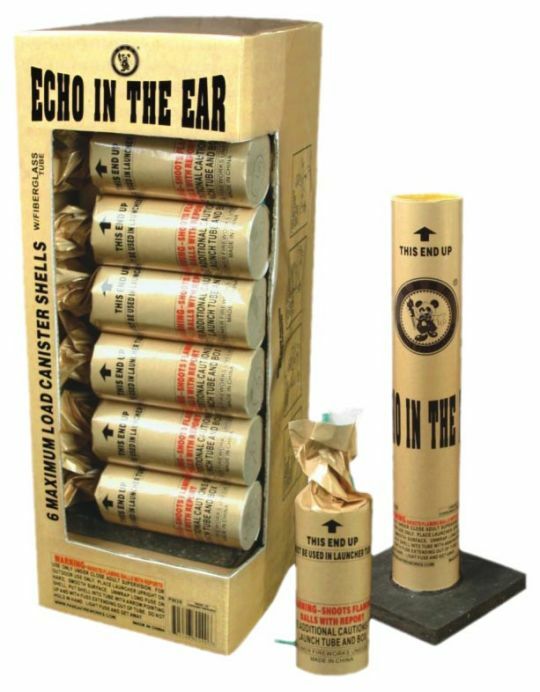 Powerful, max-load canister shells that will definitely leave an "echo in the ear!" Effects include huge brocades, color breaks, glitter, crackle, and more! Mine Craft is a unique set of 6 different tulip-style artillery shells. Each shell blasts out of the tube with a brilliant mine effect to assorted color breaks with crackle and glitter.